Why we should take the mobile web seriously. There has already been a tectonic shift in the way we view content on the web. The mobile web isn’t the future it’s the present and for any business to ignore the demand that’s clearly there is simply madness. If you owned a shop, you wouldn’t turn away people in blue t-shirts, would you? So why if your business relies on traffic from your site would you not cater for mobile devices as well? 33% of us Britain’s use our mobile phone to access the internet everyday! Don’t stick your head in the sand! Where ever we walk we nowadays we have access to the internet on our phones through 3G or WiFi, the technology inside these smartphones is advancing constantly and allows to now carry around a mini super computer in our pocket. Did you know that 43.5% of all Americans access the internet through their mobile phone and that 25% of these people use the internet daily. Fascinatingly the people of India are using mobile phones (60%) more than the traditional desktop computer (40%). In the not too distant future smartphones and Tablets will be the device of choice for people in the UK. This is why you need to think about getting your business to cater for mobile and tablet devices now! In 8 years the shipment of PCs worldwide has declined by 75%, during this time mobile devices have seen huge increases. The total of mobile devices now surpasses the PC shipments by 200,000 million units per year. These figures help demonstrate that the internet is only going to go one way, “mobile“. It’s estimated that in 2015 the desktop computer will only take up 18% of computer sales. If you have a “Responsive Website” (a website that has specific layouts for different devices) most search engines (eg: Google) will reward you in the search results page. Google now serves a different set of results depending on the device your using, so it’s important to make sure your website is not being overlooked. As well as having a positive impact on search engines results, responsive web design can also help users navigate on large websites with a more user-friendly interface. Thus allowing them navigate through the content of a website faster and easier. A great example is websites that have huge blocks of text, these blocks can be hidden away under sub headings to improve readability. There are many case studies; most notably the Amazon one, that show that after introducing support for mobile devices, that they have a dramatically increased their sales figures. The demand for mobile apps is also constantly increasing. It’s estimated that global revenue from mobile apps will exceed £16 billion this year, which is a 63% increase from last year. The idea that your business could own an app and then this app will sit inside the pocket of it’s users and acts as a constant marketing reminder, this potential is absolutely priceless! The idea of apps is mainly to give more power to the user. By empowering them they can generate and interactive with dynamic content more easily than ever before, with just one touch of a button, you can now send a tweet out to thousands of people across the world. 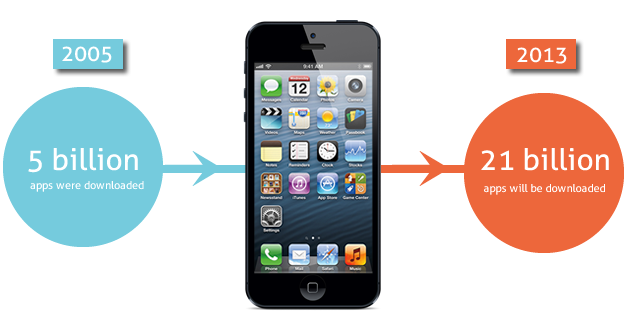 For an app to be successful, it’s need to both hook and compel the user. The longevity of an app is determined by how often the user will want to use it. 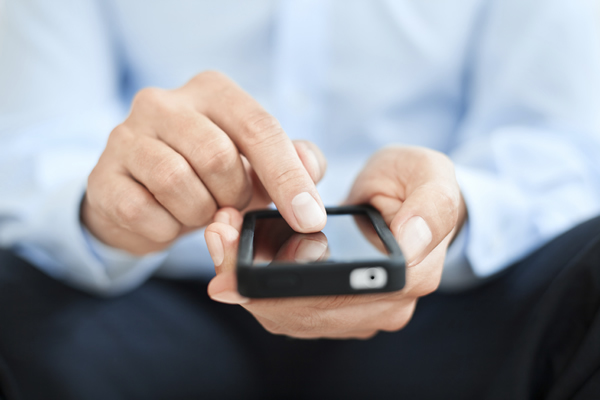 It’s imperative to place a post launch strategy in order to keep your app popular. Apps are a great way to earn extra revenue for your business. If you have an innovative idea that could be harnessed through technology, an app is an ideal starting point. If you get your app idea developed you need to start getting people to download it. A great way to get noticed is to give your app the most polished look possible as users are more likely to consider a professional looking app more enticing. New apps can also sometimes become featured for the day that there released, so this another good reason to make sure your app is ready when you do release it!